Gabor Szarvas graduated with a degree in guitar instruction and chamber music in Hungary in 2002. His teachers include some of Hungary’s most respected guitarists – David Pavlovits, Andrea Bozoki, Sandor Szilvagyi and Ede Roth. In 2002 he won third prize in the Hungarian Guitar Competition of Music Colleges. As a student he toured Hungary, performing in several cities. He started teaching in 1996 as a student himself. During the last 20 years, teaching hundreds of students, he developed a teaching style that is, according to his students and colleagues, both effective and fun. 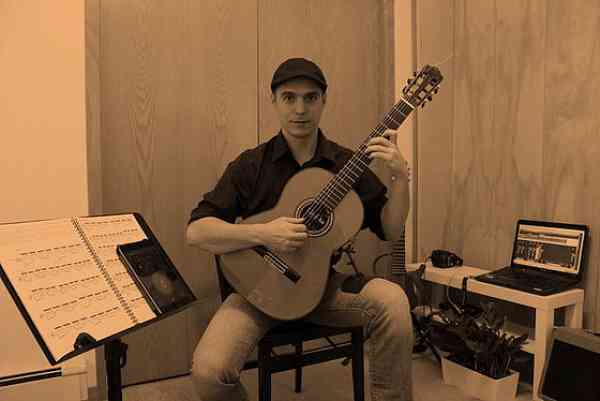 He moved to Madison in February 2012 where he continues his career in classical guitar instruction and performance.